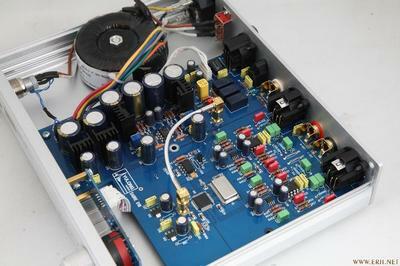 This 32 bit DAC is the latest design by Yulong Audio in China. 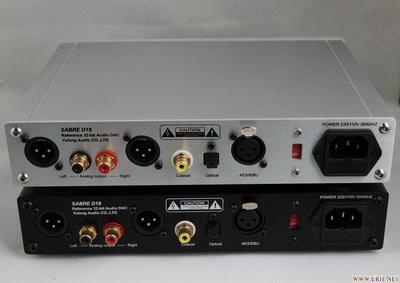 If you don't know about Yulong yet, it specializes in DA converter and headphone amp and is based out of southern China. The designer, Yulong Zhang, is a young audio enthusiast always searching for better sound. His background in telecommunication hardware has given him in-depth knowledge about digital audio. He is a young father in his early 30's and has invested over $100,000 in digital research and test equipment to develop his line of audio products. He also maintain his own forum on China's largest head-fi forum (erji.net) with many followers. His workshop, design studio and production line is in relatively small scale - when I asked him if he would like to expand his factory during my visit to Yulong Audio in Sept 2011, he smiled and answered honestly: "Sound comes first, then business will come. I don't crave for large scale of production of mediocre products." 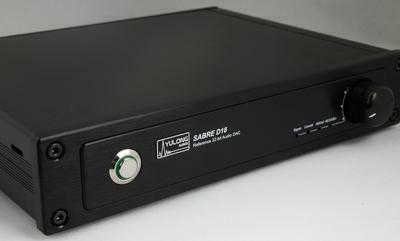 The Yulong Sabre D18 has been developed during the course of two years. It competes with world's top brand on sound quality and attention to the details goes as much as to stainless steel screws on the front plate. 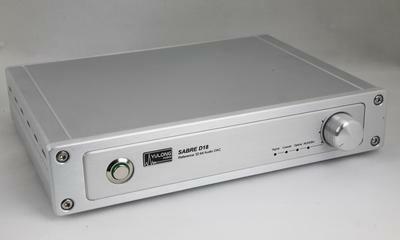 Although the SABRE D18 has an extremely extended high frequency response (30Khz), the sound is no where to be mistaken as harsh and dry. Instead sound is soft and delicate. Combined with it’s rich and vivid mid range, well controlld bass, the Sabre D18 playback is well-balanced, natural and silky, and it can perfectly match to very high end amplification to drive high performance speakers or top quality headphones.